After finishing college, Elsa Watson joined the Peace Corps and for two years lived in a remote West African village without access to electricity. She says that this was an ideal time to start writing novels - with pen on paper. These days Watson continues her writing career on Bainbridge Island where she lives with her husband, cat, and two dogs. 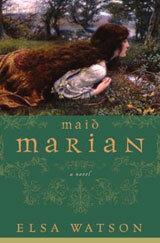 Maid Marian, Watson's debut novel (2004), puts a new twist on a familiar folk story. Lady Marian, a beautiful and clever young woman, is saved from a greedy plot and an unwanted marriage by - who else? - the legendary Robin Hood. 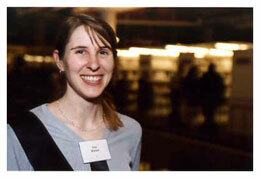 In 2006 Maid Marian was named a 'NYPL Book for the Teen Age'. 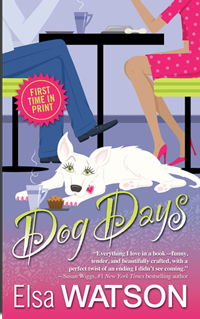 Watson's second book, Dog Days - a romantic comedy she dreamed up while sitting at the Roosters Cafe in Winslow - came out in 2012. Another book, The Love Dog, and two e-novellas - A Christmas Tail and Puppy Trap - are about to be published. For more information on this author go to http://www.elsawatson.net.